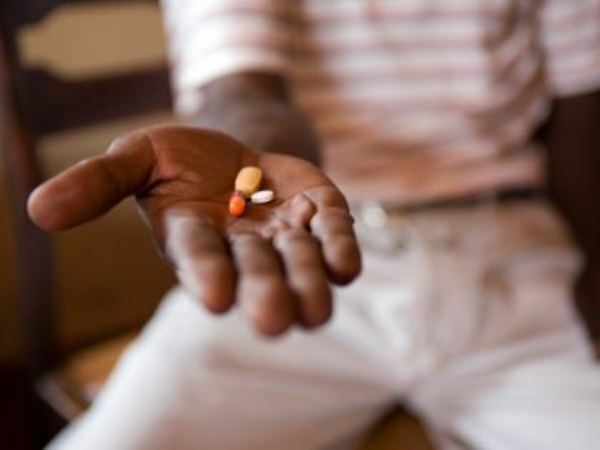 The human immunodeficiency virus (HIV) may lose its ability to cause AIDS over time as more people take anti-retroviral drugs to keep the infection at bay, researchers said Monday. The study appears in the peer-reviewed US journal the Proceedings of the National Academy of Sciences. Researchers enrolled 2,000 HIV-infected women in Botswana and South Africa in the study. They found that women in Botswana no longer benefited from the protective effect of a gene variant, HLA-B*57, which typically means people progress more slowly than usual to full-blown AIDS. However, they also found that the loss of this protection wasn't necessarily bad, because it was accompanied by a reduced ability for HIV to replicate, making the virus less powerful, or virulent. Researchers also examined the impact of anti-retroviral therapy (ART) on the potency of HIV. They developed a mathematical model, which concluded that "selective treatment" of people with low immune cell counts will "accelerate the evolution of HIV variants with a weaker ability to replicate." The World Health Organization says there were 35 million people living with HIV worldwide in 2013. The virus has killed some 39 million people since it emerged in the 1980s. "The widespread use of ART is an important step towards the control of HIV," said Mike Turner, Head of Infection and Immunobiology at the Wellcome Trust, which funded the study. "This research is a good example of how further research into HIV and drug resistance can help scientists to eliminate HIV."